Posted December 3, 2013 by Norburn Lighting and Bath Centre & filed under Showers, Tips and Advice . Norburn carries the largest selection of custom shower fixtures, Grohe, Riobel, Aquabrass, Kohler and more. Vancouver’s shower super store. 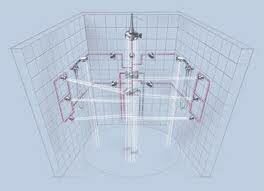 With proper planning and the right selection of fixtures we can help you design the shower of your dreams. 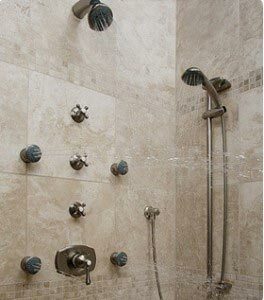 Custom showers are multiple-head showers. 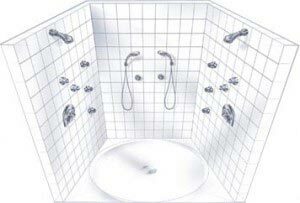 They consist of valves, water outlets, volume controls, shower heads, hand showers, or body sprays. Custom showers often require plumbing changes before installing. 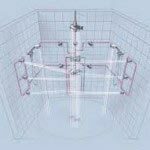 You cannot just simply add more shower heads or sprays to an existing shower stall or tub enclosure. 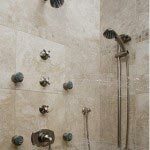 Custom showers may require installation by a licensed plumbing contractor. 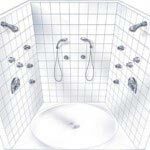 Check out FAQ section of our website for a full guide on design and installation requirements for a home spa – custom body shower.